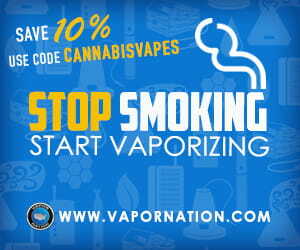 Arizer is a Canadian-based company that provides modern vaping products for the everyday cannabis consumer. Every Arizer product comes with custom session settings, is maintenance free and easy to use. Over these last few years, Arizer has focused their efforts on developing the V Tower, Extreme Q, and their newly introduced Solo vaporizers. The Arizer Air II is a dry herb vape with a digital display, precise temperature control and some other cool features. Step 1 and 2 are technically supposed to go last, but it takes double the time to heat up. We found that turning on the Air II and letting it heat up while loading the glass tube saves time. Our first attempt at using the Arizer Air II was somewhat complicated. First, we started by heating up the battery to 360F. It took a little longer than we expected. After about one minute, the device indicated it was ready, but we could tell by feeling the lack of heat on the battery that it wasn’t quite ready. 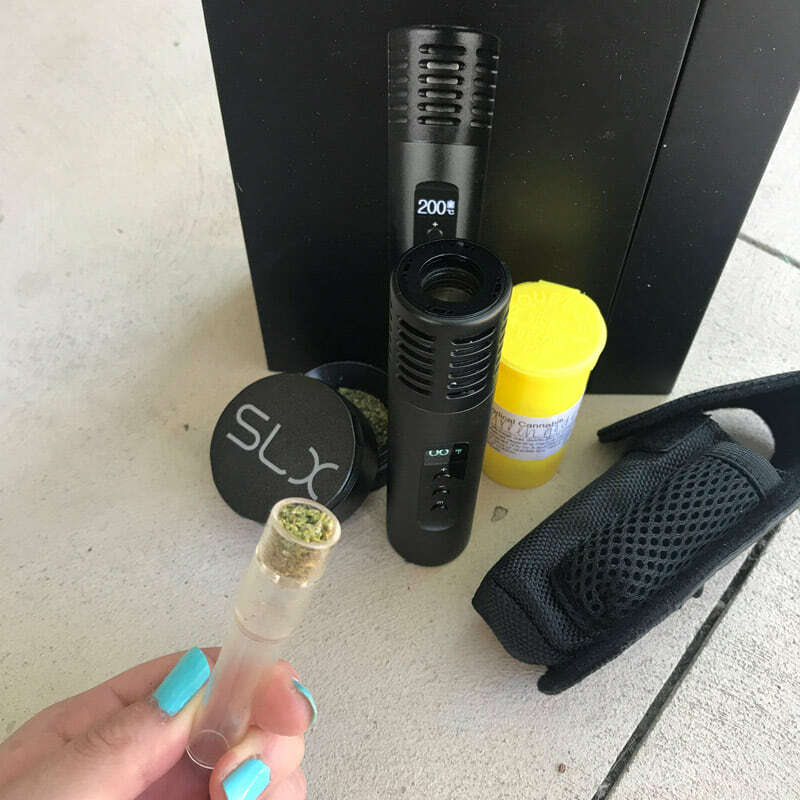 While waiting for the battery to heat up, we loaded the bottom of the tipped glass aroma tube with some freshly ground dry herb using the non-stick SLX Grinder. After waiting about another thirty seconds to a minute, the battery was ready to go so we proceeded by inserting the glass tube, ready for takeoff! With our Air II vape being brand new and tight fitting, we had to carefully wiggle the glass tube in place which took a bit of time and effort. Once everything was correctly placed, we finally started drawing hits. For the first session, we vaped a yummy, sativa-dominant strain, Green Goddess. We didn’t feel much effects from the dry herb at first, but could see lots of vapor coming out. Our second attempt went a lot smoother and the high effect was a lot more intense. Instead of using the glass tube that had a mouthpiece tip on it, we used the other included glass tube without the tip. Unlike the tipped glass tube, we had no struggle sticking the glass tube into the battery. We could see the vapor much better this time and the high was incredible. The high can definitely sneak up on you with the Arizer Air 2. At first, the high wasn’t apparent, but after five minutes, our high reached an 8 out of 10! 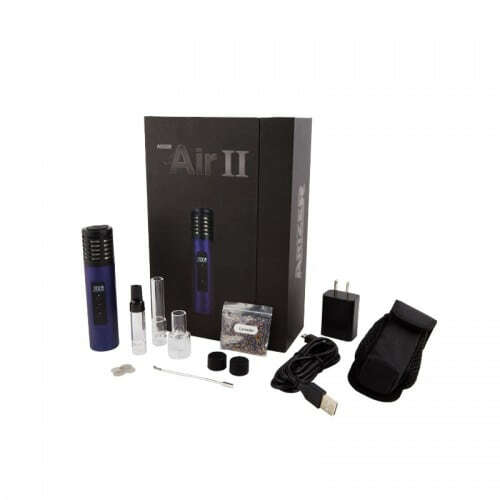 When using the Air II, you may find that barely any vapor is visible. It may feel as if you’re not getting a big enough hit, but trust that the vapor is there! 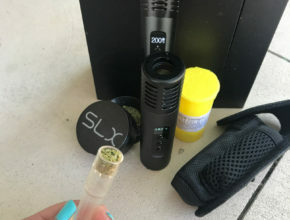 The nice thing about the Arizer Air 2 is that it is very efficient – it saves a lot of cannabis. Seriously stoned for about two hours, we went back to look at how much dry herb had actually been vaped. To our surprise, we had only vaped through a thin, top layer of the herb loaded in the tube. Using the included packing tool, we stirred up the loose leaf cannabis and proceeded to vape the rest of the packed bowl. 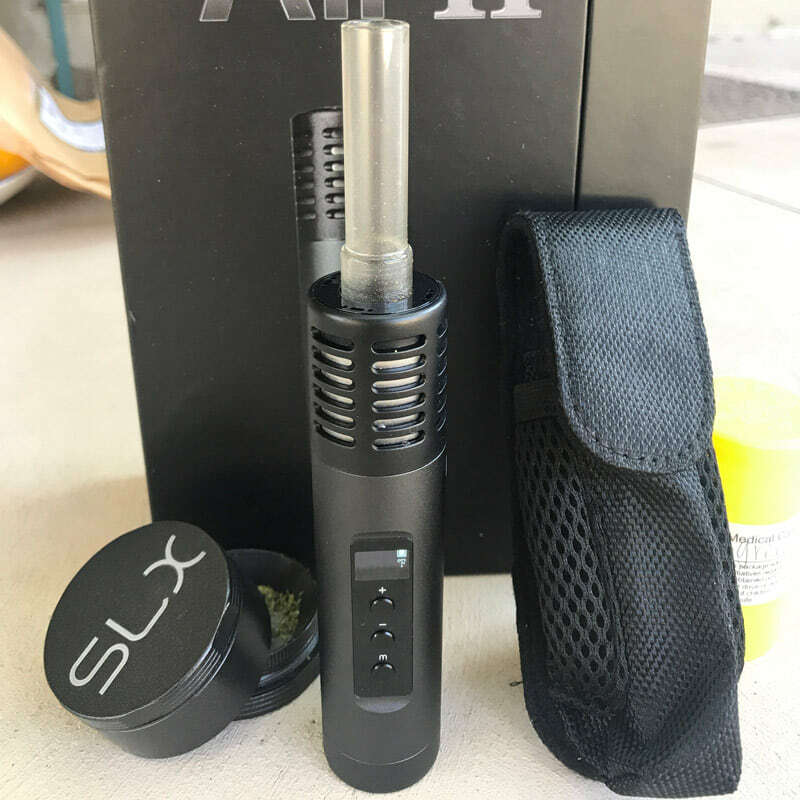 After the first two attempts at using the Air II vape, we got used to the setup and mechanics of this vaporizer. For every session after, we were able to experience the power and glory of this vape. It takes about 3-5 minutes for the Air II to fully heat up and produce strong hits. 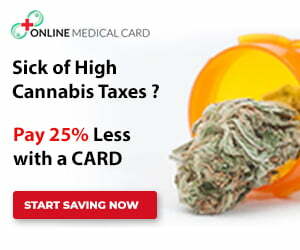 This heat up time is a bit longer than we would expect when compared to other dry herb vapes. With each use, the Air II became increasingly easy to operate. 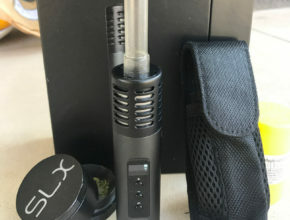 Once we got the hang of it, we started to actually love this vape. The main drawback for us was just the long heat up time. Although the vapor quality was not as expected, the Air II still hits good. 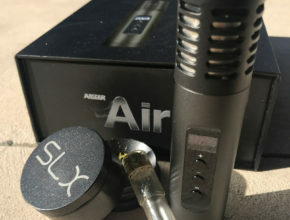 Arizer’s online description of the Air II states that this vaporizer produces “thick clouds” but during our testing process, we found little vapor. 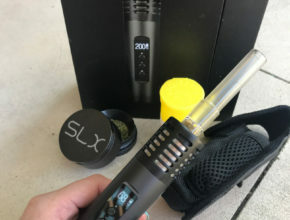 It is important to keep in mind that this is a vaporizer and unlike smoking a joint, vaping flower is a completely different experience than smoking flower. It is however, a good alternative for individuals who use cannabis strictly for medicinal use and want to avoid throat and lung irritation that can be caused by smoke. The Arizer Air II batteries meet rigorous quality standards. With normal vaping use, they can last for hundreds of charge cycles. The Air II vape can last up to one hour if using continuously and takes three to four hours to fully recharge. During our initial testing, the Air II battery lasted a couple days before it needed its first recharge. Overall, the Arizer Air II is relatively easy to use and delivers a sustained, smooth high. Lasting up to one hour of continuous use, the vape definitely provides enough battery life for recreational and/or medicated use. However, this vaporizer does not produce as much vapor as you might expect. It may not be as satisfying of an experience for the everyday smoker who wishes to vape recreationally. 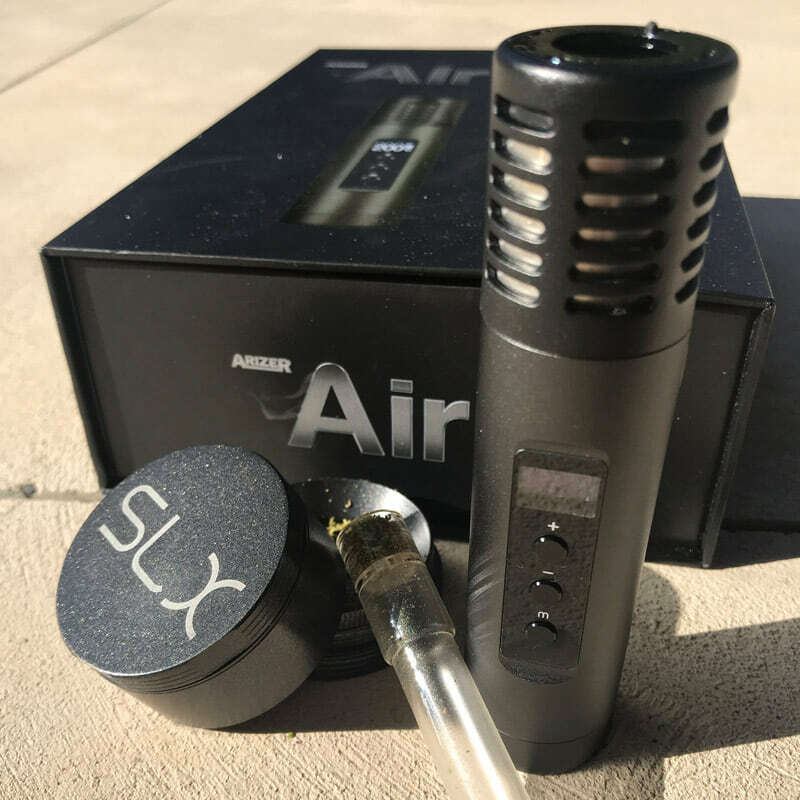 Instead, the Air II is meant for a more medicinal, long-term use – as the battery provides – for a more relaxing, solo-meditative high. All in all, the Air II gets the job done. 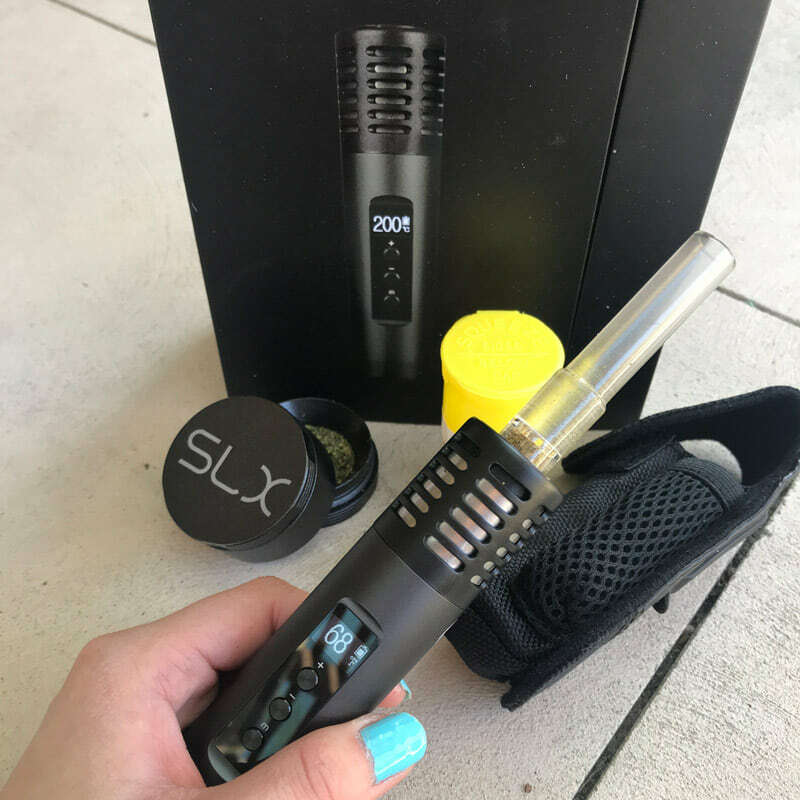 It’s a worthwhile dry herb vaporizer for the everyday smoker who wishes to medicate with a consistent high throughout the day. 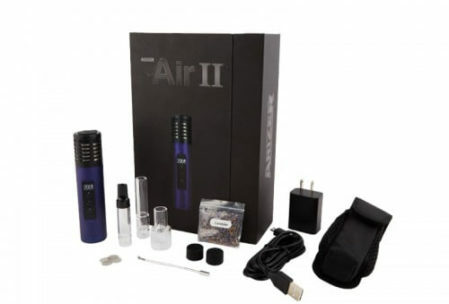 The Arizer Air II is available through VapeWorld for $229.99 (originally $239.99) in Carbon Black or Mystic Blue. This vape comes with a lifetime warranty on the heating element, and a limited 2-year warranty covering defects in materials or workmanship. However, this warranty does not include the battery.